Futureworlder (aka Brian Traister) has released some great music on our parent label, 3Bridge Records, and we're over the moon excited to put out his work on 3Bridge Elements. 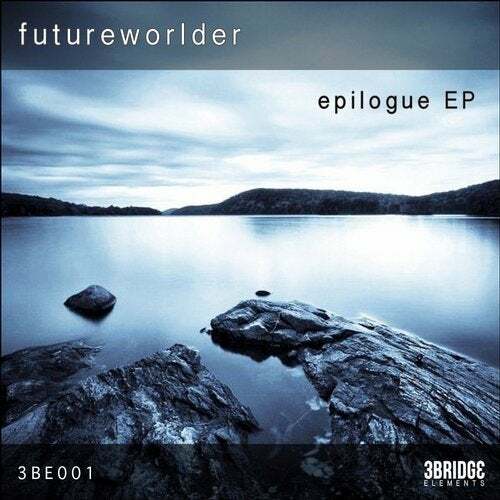 The 'Epilogue EP' is 4 pieces of deep lush ambient goodness, echoing the styles of seminal works with a modern twist. 'Ascension' kicks things off with grandiose pads and some killer vocal samples that would fit right at home in a kaleidoscopic chill out room. Appropriately named, you could close your eyes and picture yourself catapulting into the stratosphere, looking down at the world revolving below you. It harkens back to the tunes on the much beloved 90s series, Instinct Ambient, and does so in stellar fashion. 'Trappist 1' takes a more drone based approach, holding chords for long durations as they evolve and morph and it's truly music to get yourself lost in. It sounds like a sunlight beaming through the clouds as it channels its energies through you. The sequel, 'Trappist 2' plays as if the currents of light started to magnetize, forming arpeggiated lined patterns that filter through the brightness. The stunner 'Epilogue' closes things out, and it sounds like the credits to an imaginary soundtrack in our minds, one where we think and reflect on all of the things around us. Walls of effected, elongated sounds build here and they create a blanket of melody leaving the listener invigorated and wanting more. This is a remarkable EP and one you should pick up for your ambient music fix.